Discussion in 'iPhone and iPad Games' started by metalcasket, Mar 9, 2016. 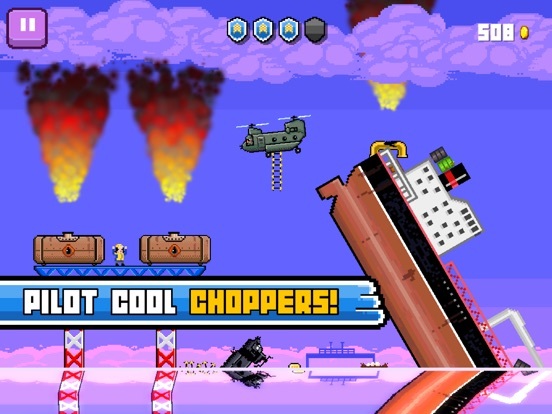 Choppa is a physics based arcade & action game with touch controls, procedurally generated stages and 80s style rock music. 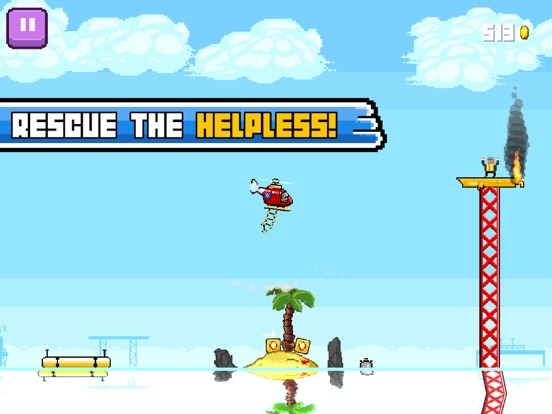 The main draw of the game is progressing through randomly generated levels and saving as many people as possible at the risk of exploding or falling to the sea. 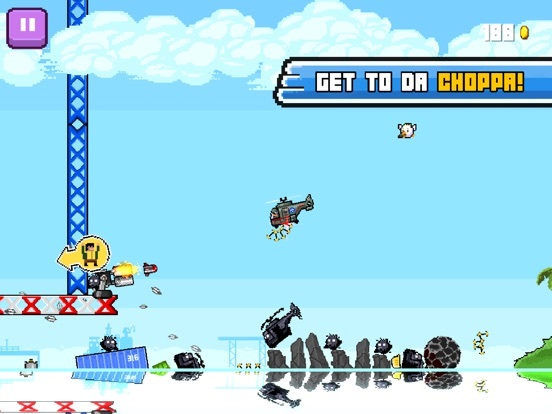 Players will be able to purchase new helicopters, upgrade armor, engines and rescue gear and complete challenging missions while aiming for the top score. Game Center leaderboards are supported. I've been having a lot of fun with this one. Definitely worth checking out if you have a NZ account. windwarz, you did post the complete wrong Game Video, check your Link again ! 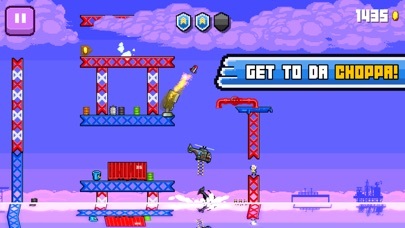 This is pretty cool, I really like the pixel art and the explosions! The app icon and the opening screen are terrible! 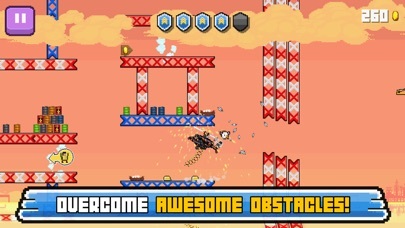 The art style looks almost amateur and has nothing to do with the actual in-game graphics (thankfully!). I'm playing on an iPad mini and I wish there was an alternate control method where I didn't have to move my fingers all the way up and down the screen to control the chopper. I like the simple controls, but on a bigger screen I think buttons or a virtual joystick would work better. Hey Sanuku and thanks for the feedback! Those turbines may need some fine tuning, but you're on the right track about upgrading the engine. Also the bigger choppers have bigger engines by default. 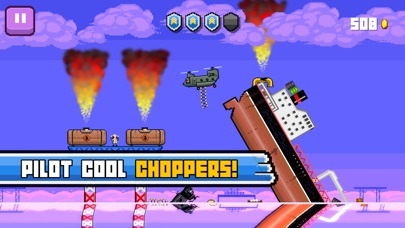 The turbines should however also be passable with the regular chopper and no upgrades. It might a bit unclear that you can also go under them, have you tried this? Thank you also hvianna and windwarz for your input, it is really appreciated! 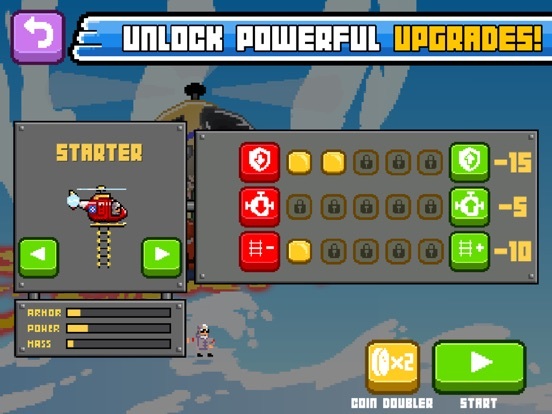 We updated Choppa today with a new tutorial and coin doubler features. 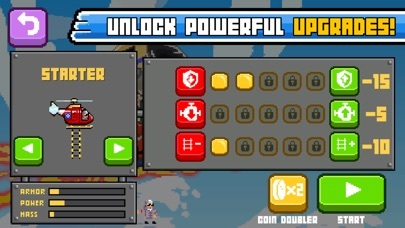 You can find the coin doubler from the chopper selection screen. In addition lots of nasty bugs have been squashed. The update should be live on both App Store and Google Play. 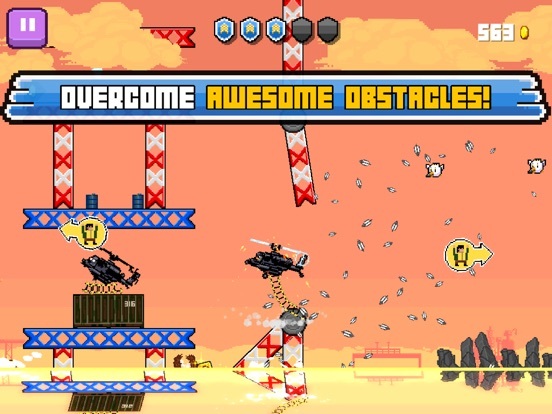 We were also asked to make the game work on iOS7 devices so we lowered the requirement. Please report to androidsupport@partagames.com or iossupport@partagames.com if you have any problems. Thanks for playing! Hi pilots! We're trying to decide on an App Store icon and would love to know what your favourite is! I vote for icon B! Thanks for voting! Here are two options we're trying to decide between. What is your favourite? Happy flying and thanks for voting for the icon everyone! Happy to see this is finally live.